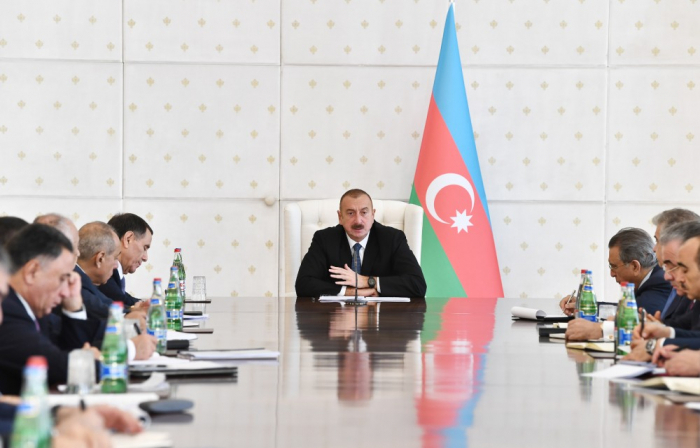 A great work is being done and necessary steps are taken to develop the non-oil sector in Azerbaijan, said President Ilham Aliyev at a Cabinet meeting, AZERTAC reports. “In recent years, we have made great strides in terms of development. Suffice it to say that more than 300 investment encouragement certificates have been issued after the introduction of the investment promotion system,” the head of state stated. The president said these projects have created 20,000 jobs, adding that the total investment volume of the projects that have already been implemented since the launch of the investment promotion mechanism and will be implemented henceforth is about 2.7 billion manats. “If we did not apply this system, nobody would have come and invested in Azerbaijan,” President Aliyev added.